Boundary violations happen in two general ways — a momentary bad decision or a long series of bad decisions that leads to a huge error. Here are examples of each. A clinician friend attended a client’s graduation party. She had worked with this client for months as he dealt with the ending of his marriage, the loss of his 20-year career and the decision to go back to college to begin a new life. The graduation party was a celebration of the long road they had traveled together as clinician and client. But the decision to attend was a mistake. It was a small party made up almost exclusively of relatives. Even though my friend stayed only a short time, the client introduced her as someone who had helped him through hard times. Subsequently, she was met with questions about her relationship with the client, whether they were dating and other awkward speculations. Because of the way he introduced her, my friend could not clarify her relationship with the client. Her decision to attend the party was made with the best of intentions but clearly violated the client-counselor boundary. It is a mistake that she won’t make again. The second type of boundary violation happens over time. Consider this scenario: “Bob” was a marriage and family therapist in his 40s who had been divorced for a little more than a year. His client, “Mary,” was a 40-something woman working through her own divorce. Bob tried to ignore his subtle attraction to Mary, dismissing it as nothing that would lead to unethical behavior. She was his last client of the day and, eventually, he began allowing their sessions to run 10 or 15 minutes over the allotted time. Bob rationalized that he didn’t have to be in a hurry. After all, no other clients were waiting, and he had no place to be. Bob also allowed the dialogue at the end of sessions to wander into questionable areas — his hobbies, movies that Mary liked, favorite restaurants. In the process, Bob discovered that he and Mary shared the same favorite restaurant. After their first session, Bob allowed Mary to give him a “shoulder hug” at the conclusion of therapy — a behavior that became routine. Again, he rationalized this action as harmless. Mary initiated it, and he didn’t intend anything further to happen. He told himself that he had been in practice for many years and had never had an attraction to a client that he had acted on. Then came the gross boundary violation. At the conclusion of a session, Bob and Mary lingered in the office for nearly 30 minutes, chatting like friends rather than therapist and client. Mary mentioned she was hungry and suggested that they go to their favorite restaurant and continue their conversation over dinner. Bob agreed. At dinner, long gazes and awkward pauses made it evident that there were feelings between the two. Immediately following dinner, Bob called me, asking how to pull the reins back on their relationship. Bob didn’t make one mistake. He made many mistakes that led to the most obvious one. 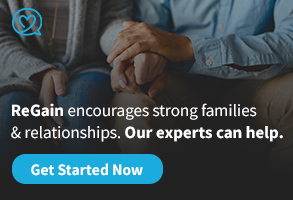 Fortunately, he and Mary didn’t end up in a sexual relationship, but the boundaries of their clinical relationship had become so blurred that he chose to refer Mary to another therapist. This was a devastating setback to her. She had again been rejected by a man she cared about, even though Bob never intended that to happen. Bob failed to recognized how his physical contact might be interpreted by his client. He ignored, rationalized and routinely failed to maintain clear time boundaries that help to clarify the therapist-client relationship. In addition, he failed to manage his attraction to Mary. In Mary’s eyes, Bob was her friend, not her therapist, and over time, that gave her the green light to ask him to dinner. Accepting the invitation was just the last of Bob’s long series of errors. My internship supervisor was an exceptional model of boundaries. She cared about me and wanted me to succeed, but there is no way I would ever have supposed that her concern for me was anything more than clinical. She was warm, friendly and gracious, but I laugh at the idea that I would have ever asked her to dinner. No way. She made our roles clear. So, whether you have windows or no widows in your office door, whether you touch your clients or do not touch them, or whether you attend or refuse to attend a function such as a client’s graduation isn’t the issue. The issue is the clarity of boundaries and ethical behavior. If Bob had done that, Mary would never have asked him to dinner. Gregory K. Moffatt is a veteran counselor of more than 30 years. His monthly Voice of Experience column for CT Online seeks to share theory, ethics and practice lessons learned from his diverse career, as well as inspiration for today’s counseling professionals, whether they are just starting out or have been practicing for many years. His experience includes three decades of work with children, trauma and abuse, as well as a variety of other experiences, including work with schools, businesses and law enforcement. Contact him at Greg.Moffatt@point.edu. 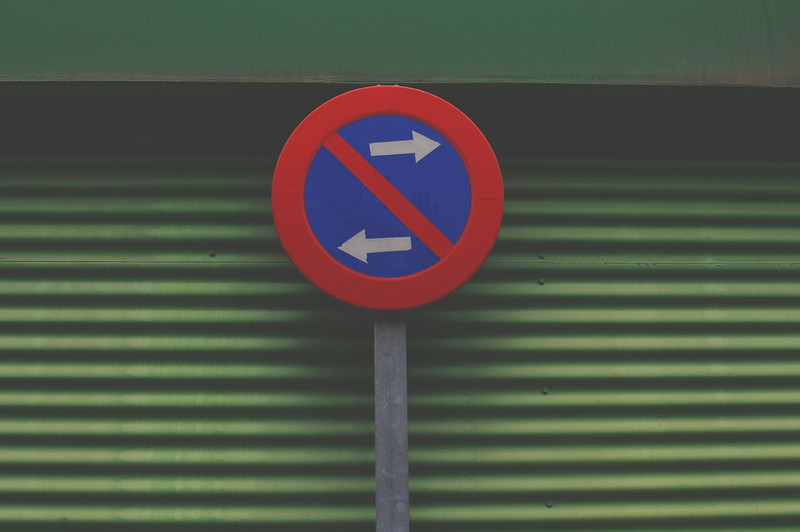 Over the past three decades, researchers have examined multiple relationships between psychotherapists and their current and former clients, and boundary issues have been explored in the ethics literature. In day-to-day practice, multiple relationships (also known as dual-role relationships) with current clients are commonplace for some practitioners. In some instances, these relationships can be unavoidable and even beneficial. For example, it is not uncommon for a school counselor to also be the coach of a sports team, thus filling both a counselor and a coach role for students. Discussions of multiple relationships with former clients have been relatively scarce until recent years. In the late 1980s and early 1990s, research began regarding the ethics of counselors entering sexual relationships with former clients, culminating with the ACA Code of Ethics prohibiting sexual relationships with former clients for a period of at least five years post-therapy (see Standard A.5.c.). More recently, studies have examined how therapists view nonsexual relationships with former clients. Interestingly, research suggests that therapists feel less ethically conflicted about entering these relationships with former clients than they have in the past. For example, in 1989, Debra Borys and Kenneth Pope reported that 46 percent of therapists thought that becoming friends with former clients was ethical under some conditions. In a 1996 study, William Salisbury and Richard Kinnier found that 70 percent of counselors held this belief. In 2004, Tracey Nigro and Max Uhlemann found that a whopping 83 percent of counselors thought that becoming friends with former clients was ethical at least some of the time. So, what about clients’ perspectives of friending a former counselor? My colleagues Sharon Anderson, Jim Banning, Suzan AlDoubi and I took a mixed-methods approach to study former clients’ experiences of nonsexual post-therapy relationships with their therapists (the research was inclusive of psychologists and counselors). In the second phase, Sharon conducted interviews with nine former clients who responded to the questionnaire. Participants were interviewed one at a time, and the interviews ranged from one hour to 90 minutes each. Prior to beginning the interview, informed consent was discussed and obtained. A debriefing sheet listing referral for counseling was provided. Participants were informed that the research findings might be published but that their names and identifying information would be altered to protect their confidentiality. All interviews were recorded and transcribed. Of the nine clients interviewed, eight were female. All participants identified themselves as white or Caucasian. Their ages while in therapy ranged from 16 to 56. Reasons for being in therapy included couples work, grief and loss, self-esteem, anorexia, depression, suicide in the family, suicidal ideation, sexual abuse, family-of-origin issues, transitional issues, dissociative identity disorder and posttraumatic stress disorder. Time in therapy ranged from seven months to five years. The estimated time between therapy termination and post-therapy contact ranged from a few weeks to two years. Former clients and former therapists were almost equally responsible for initiating post-therapy contact, with five clients initiating contact and four therapists initiating contact. Regarding the former therapist’s gender, there were five males and four females. The ethnicities of the former therapists were reported as African American, German, Jewish, Irish and white. Quotes from the former clients (using pseudonyms) are included to highlight these results. We identified three different types of post-therapy contact that participants described with their former therapists. We wondered how the therapist handled this transition. In analyzing this part of the interviews, we found two themes: 1) the termination of the therapy relationship was not clear and 2) the termination was clear, with the termination process being clearly discussed. A power differential exists in the therapy relationship. The therapist is there to offer expertise, and the client is there as a customer who pays for the service rendered. Thus, the counselor is seen as having more power in the therapeutic relationship. But what happens to the power differential in the post-therapy relationship? Two participants saw the power within the post-therapy relationship as being more or less equal. The other seven participants described the power differential as remaining unequal, with the therapist continuing to hold more of the power in the relationship and, at times, transference and dependency continuing. We were interested to hear participants’ assessment of the impact of the post-therapy relationship. We identified four themes, ranging from harmful to beneficial. 1) Definite harm: To these former clients, post-therapy contact was extremely confusing. Interactions with former therapists were disorienting and harmful, compromising the work accomplished in therapy. 2) Possible harm: To these former clients, post-therapy contact was conflicting and confusing. Participants were in post-therapy relationships, yet preferred to be completely done with the therapist and on with life. The former therapist continued to encourage connection. 3) No benefit, no harm: The post-therapy interactions occurred because of external circumstances. 4) Beneficial, yet confusing: These former clients initiated the post-therapy contact. Participants talked about the good connection with their therapist. At the same time, their statements at times suggested confusion about the relationship. The central theme inherent in all the interviews we conducted was confusion. Is confusion potentially harmful to former clients? We believe it is. Thus, we suggest if there is the potential for a role change to a nonsexual post-therapeutic relationship, then the potential for confusion should be an ongoing discussion in counseling. Standard A.6.d., Role Changes in the Professional Relationship, states: “When counselors change a role from the original or most recent contracted relationship … clients must be fully informed of any anticipated consequences … of counselor role changes.” Again, we believe the potential for confusion as a result of changing roles should be a part of this conversation. If clients want to return to counseling, or to transition from a therapeutic relationship to a friendship, the right and responsibility to renew or reinvent the relationship should be theirs alone. Overcoming the power differential inherent in therapy is tricky. Giving clients the power to decide if and when to pursue a post-therapeutic relationship is but one step in acknowledging their autonomy and effort in becoming happier, healthier people. We believe counselors seeking therapy would expect nothing less from their own therapists. 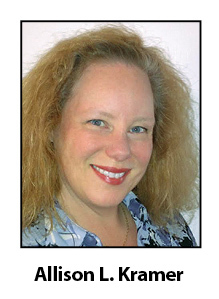 Allison L. Kramer is associate professor and program lead at Johnson & Wales University in Denver. She is a licensed professional counselor and a level-two certified addiction counselor in Colorado. Contact her at akramer@jwu.edu. There are lots of “what ifs” that come with being a professional counselor. What if a client invites you to his or her wedding or graduation party? Should you go? What if you’re one of only a few counselors in a rural area, and a client turns out to be your child’s schoolteacher? What if a client wants to hug at the conclusion of a particularly emotional session? When it comes to relationship boundary issues, there is never a definitive or one-size-fits-all answer, say Herlihy and Corey. The solution will vary with each client and each situation. For counselors, the key is to have a method of thinking through each decision, from reading the latest professional literature to brainstorming with colleagues. In the book, you mention that multiple relationship issues “affect virtually all counselors, regardless of their work setting or the client populations they serve.” With this in mind, what are some key takeaways you feel counselors should be aware of? We expect that ethically conscientious professionals will continue to struggle with the multiple relationship dilemmas that they face and the multiple roles they will be expected to balance in their work. Because there are often not clear answers to questions about personal and professional boundaries, we must rely on our reasoned professional judgment, openness to discussing issues with clients who are equally affected by the decisions made, and consultation with colleagues. 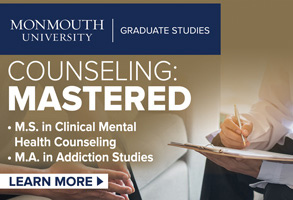 Rather than searching for definitive answers to many of the multiple roles and responsibilities associated with counseling practice, the real challenge is for counselors to learn a process of thinking about such dilemmas and to have a rationale for the decisions they make. What advice would you give to a newly graduated counselor who is starting out in the profession? Students and new professionals would do well to err on the side of caution when they think about crossing a boundary with a client and to consult with seasoned colleagues before making exceptions to their customary boundaries. 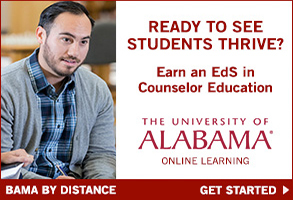 Newly graduated counselors can realize that they do not have to make ethical decisions about boundaries by themselves. They can always seek consultation with peers, colleagues and supervisors. Involving the client in a discussion about establishing and managing boundaries is a good idea since this fosters a collaborative spirit. Rather than making decisions about the client and for the client, counselors can promote dialogue with their clients about how boundaries are important and how best to manage them. Do you feel this topic is covered enough in counseling graduate programs and continuing education? Although most counseling professionals are required to participate in continuing education in law and ethics as a part of the licensure renewal process, it seems that many of these continuing education workshops focus on legal matters and do not give a great deal of attention to ethics. On matters such as accepting gifts, meeting clients outside of the office, engaging in nonerotic touching and going to a special event of a client, the advice is typically to use a risk management approach and avoid deviating from a strictly professional context. We hope our book will invite readers to reflect on matters such as these and examine what might be the best practice for clients. When it comes to boundary considerations, it is essential that counselors are able to live with some ambiguity. There are often no single best answers, and the best course of action could vary with circumstances, client needs and counselors’ styles and preferences. We hope that readers will see the importance of reaching out to colleagues and supervisors when they have any doubts about how to address situations involving boundaries. What prompted you to release a third edition of this book? Please talk about the updates and changes readers will see in the new edition. 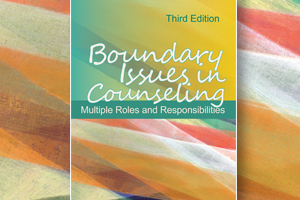 The third edition of Boundary Issues in Counseling is based on the assumption that counseling professionals must learn how to manage multiple roles and responsibilities effectively, rather than always attempting to avoid them. We wanted to update the book to capture how the thinking of our profession has evolved over the decades — particularly over the past few years. At one time, practitioners were advised to avoid dual relationships and be wary of any kind of boundary crossing. This rigid stance has been replaced by a more nuanced understanding of the complexities of dual relationship issues. Most professionals now realize that they must balance and carry out multiple roles in various situations. In this edition, as co-authors we still maintain our personal voice and express our views in most of the chapters. We have invited even more colleagues with various specializations, and also graduate students and new professionals, to express their perspectives on a wide range of topics that fall within the scope of boundary concerns. There are now 40 contributors who offer essays and examples from their practices, most of which (30) are new to this edition. A number of new topic areas address various specializations. For example, Chapter 10 focuses on disaster mental health, private practice, addictions counseling and rehabilitation counseling. In Chapter 11, there is a focus on unique boundary issues that arise in rural practice, counseling in the military, working with clients with end-of-life concerns, in-home service provision and working in forensic settings. Boundary issues impact not only the counseling relationship but also pervade supervision and consultation, counselor education, training of group counselors and couples and family counselors. All these areas are addressed in this new edition. As a whole, do you feel the counseling profession handles boundary and relationship issues well, or it something that could be improved on? Although it is difficult to make generalizations about such a broad area, we believe the vast majority of counseling professionals take boundary issues very seriously and strive to maintain the integrity of the therapeutic relationship. That said, however, we think that even the most competent counselors could probably find ways to improve when it comes to making decisions about boundaries and managing roles in the counseling process. The complexities can be difficult to sort through, particularly when cultural differences are taken into account. As the counseling profession continues to become more global, this will be an ongoing challenge. Also, counselors seem to blur boundaries in inappropriate ways when their own needs get mixed into situations. Some counselors could be more diligent in practicing self-monitoring and self-care, and counselor education programs could emphasize more strongly the importance of these practices. Finally, we urge counselors to invite their clients to provide them with ongoing feedback about how they are experiencing their counseling. To increase their effectiveness, counselors must be willing to take risks of listening carefully to what their clients tell them and be willing to modify their practices based on what clients say they need. Perhaps the best way for counselors to improve is to be open to feedback on a systematic basis from their clients and to engage in personal reflection. The process of reflection is vital to producing positive outcomes, which means that counselors must be willing to spend time thinking about what they are doing, why they are doing it and how they can be functioning more effectively in meeting their clients’ needs. 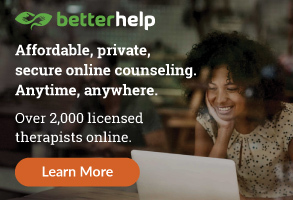 In addition to your book and the ACA Code of Ethics, what resources do you recommend counselors turn to with questions about relationship and boundary issues? Most professional organizations have consultants who are available for discussion on ethical, legal and professional matters. In addition to guidance provided by one’s professional organization, reading can be a useful adjunct to developing an ethical perspective. 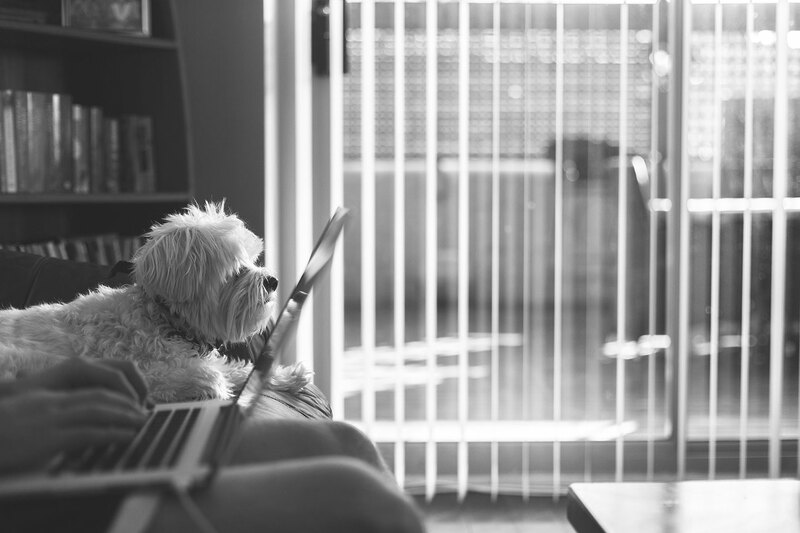 Keeping up to date with the professional journals is an excellent practice for staying current. Herlihy, B., & Corey, G. (2015). ACA ethical standards casebook (7th ed.). Alexandria, VA: American Counseling Association. Barnett, J. E., & Johnson, W. B. (2015). Ethics desk reference for counselors (2nd ed.). Alexandria, VA: American Counseling Association. Remley, T. P., & Herlihy, B. (2014). Ethical, legal, and professional issues in counseling (4th ed.). Upper Saddle River, NJ: Pearson. Corey, G., Corey, M. S., Corey, C., & Callanan, P. (2015). Issues and ethics in the helping professions (9th ed.). San Francisco, CA: Cengage Learning. Zur, O. (2007). Boundaries in psychotherapy: Ethical and clinical explorations. Washington, DC: American Psychological Association. Yalom, I. D. (1997). Lying on the couch: A novel. New York: Perennial. Your book mentions that dual relationships can be positive, even furthering the therapeutic alliance in some cases. Do you think counselors have misconceptions about this and end up avoiding dual relationships? Decisions whether to enter into dual or multiple relationships should be for the benefit of our clients (or others served) rather than to protect ourselves from censure. Whenever we consider becoming involved in a dual or multiple relationship, it is wise to seek consultation from trusted colleagues or a supervisor. Boundary issues must be considered within their cultural contexts. Recognize that the problem is not engaging in multiple relationships, but is rather abusing power and thus exploiting and harming clients. Consultation and supervision are routes to monitoring our motivations and reducing the risk of abusing power and harming clients. Barbara Herlihy is a licensed professional counselor and university research professor in the counselor education graduate program at the University of New Orleans. Gerald Corey is a national certified counselor (NCC) and professor emeritus of human services and counseling at California State University at Fullerton. Boundary Issues in Counseling is available from the American Counseling Association bookstore at counseling.org/publications/bookstore or by calling 800-422-2648 x 222. Published this year, the new edition updates previous editions published in 1992 and 1997. Herlihy and Corey will be at the 2015 ACA Conference & Expo in Orlando to give a talk on both Boundary Issues in Counseling and the ACA Ethical Standards Casebook, another that they co-authored for ACA. The recent revision of the ACA Code of Ethics significantly changes the ethical guidelines related to dual relationships. Careful review of the specific ethics code language addressing dual relationships is imperative in order to navigate this prevalent ethical issue. Though the 1995 code offered guidance on the topic of dual relationships, the 2005 ACA Code of Ethics provides more explicit guidelines about which dual relationships are ethically acceptable and which are strictly prohibited. Dual relationships exist on a continuum ranging from potentially beneficial interactions to harmful interactions. One dual relationship that is always considered harmful is a sexual relationship with a client. The 2005 revision of the ACA Code of Ethics reiterates and expands the ban on sexual relationships with clients. Under the new code, counselors are ethically prohibited from engaging in sexual relationships not only with clients but also clients’ partners or family members (Standard A.5.a.). Though sexual relationships with clients are clearly prohibited, nonsexual relationships are ethically permissible under certain circumstances. Like a dual relationship that is sexual, a nonprofessional dual relationship has the potential to blur the boundaries between a counselor and a client, create a conflict of interest, enhance the potential for exploitation and abuse of power, and/or cause the counselor and client to have different expectations of therapy. The 1995 code instructed counselors to avoid nonsexual dual relationships when it was possible to do so. The Ethical Code Revision Task Force felt that this instruction was being interpreted as a prohibition on all dual relationships, including relationships that could be beneficial to the client (see “Ethics Update” in the March 2006 issue of Counseling Today). Thus, the 2005 code revisions clarify that certain nonsexual interactions with clients can be beneficial, and therefore, those relationships are not banned (Standard A.5.c.). In settings such as rural communities and schools, nonsexual dual relationships are often impossible to avoid. The 1995 code provided guidance on managing unavoidable dual relationships, stating that the counselor was expected to “take appropriate professional precautions such as informed consent, consultation, supervision and documentation to ensure that judgment is not impaired and no exploitation occurs.” Though this language is no longer explicitly stated, such precautions still seem warranted. The 2005 ACA Code of Ethics also provides guidelines for supervisory relationships, stating that “Sexual or romantic interactions or relationships with current supervisees are prohibited” (Standard F.3.b.). Furthermore, the ethics code clearly states that “Counseling supervisors do not condone or subject supervisees to sexual harassment” (Standard F.3.c.). It should be noted that not only is sexual harassment unethical, it is also illegal. 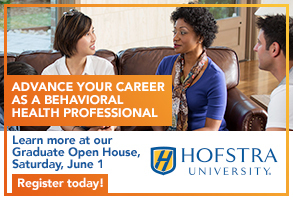 Counseling supervisors are expected to “clearly define and maintain ethical professional, personal and social relationships with their supervisees” (Standard F.3.a., “Relationship Boundaries With Supervisees”). The standard goes on to say that “If supervisors must assume other professional roles (e.g., clinical and administrative supervisor, instructor) with supervisees, they work to minimize potential conflicts and explain to supervisees the expectations and responsibilities associated with each role.” The 2005 ACA Code of Ethics also cautions counseling supervisors to remain aware of “the power differential in their relationships with supervisees” (Standard F.3.e.). The code further clarifies that “Counseling supervisors avoid accepting close relatives, romantic partners or friends as supervisees” (Standard F.3.d.). The 2005 ethics code addresses other dual relationships as well, including relationships between counselor educators and students and relationships between researchers and research participants. Standard F.10. sets guidelines for counselor educators and students that are similar to the ethical guidelines for supervisors and supervisees. Standard G.3. virtually mirrors these rules for researchers and their research participants. The 2005 ACA Code of Ethics clarifies that nonsexual dual relationships are not prohibited; however, navigating dual relationships can be challenging. Counselors are ethically mandated to approach dual relationships with care and caution. Informed consent is a critical component of engaging in nonsexual dual relationships with clients, and this includes specifying the potential negative consequences of such a relationship. It is wise for counselors to consult when faced with a dual relationship to ensure that clients are not harmed. Though the standards related to dual relationships in the ACA Code of Ethics have undergone significant changes, the spirit of their intent can still be summarized in one sentence: Do what is in the best interest of the client. Mary A. Hermann, a professor of counselor education at Virginia Commonwealth University, and Sharon Robinson-Kurpius, a professor of counseling and counseling psychology at Arizona State University, are members of the ACA Ethics Committee. Editor’s note: American Counseling Association members received the 2005 ACA Code of Ethics bundled with the December 2005 issue of Counseling Today. Completed over a three-year period, this revision of the ethical code is the first in a decade and includes major updates in areas such as confidentiality, dual relationships, the use of technology in counseling, selecting interventions, record keeping, end-of-life issues and cultural sensitivity. All ACA members are required to abide by the ACA Code of Ethics, and 21 state licensing boards use it as the basis for adjudicating complaints of ethical violations. As a service to members, Counseling Today is publishing a monthly column focusing on new or updated aspects of the ACA Code of Ethics (the ethics code is also available online at www.counseling.org/ethics). ACA Chief Professional Officer David Kaplan conducted the following interview with Rocco Cottone and Michael Kocet, two members of the ACA Ethical Code Revision Task Force. Rocco Cottone: The dual relationship term is really nondescript and does not give good guidance to the profession or to clients who have an ethical concern or complaint. Michael Kocet: And over time our professional culture had developed the notion that you had to back away from any circumstance that might present a dual relationship, even if there was a potential for benefit to the client. RC: When you sit down and analyze the concept of dual relationships, you will find that it relates to three different types of relationships: sexual/romantic relationships, nonprofessional relationships and professional role change. The first category, sexual and romantic relationships with current clients, is banned by the code of ethics because we have evidence of the damage that results. The second type of relationship, nonprofessional relationships, encompasses those activities where you might have contact or active involvement with a client outside of the counseling context. The third type of relationship that the old dual relationship term encompassed is a professional role change. An example is when you shift from individual counseling to couples counseling. Moving from one type of counseling to another with one client can be really confusing and ethically compromising. So, in the end, moving away from the concept of dual relationships was really about the analysis of what the dual relationship term meant and the confusion it caused because of multiple meanings. The new ethics code addresses all three types of roles and relationships with clients. DK: So instead of banning dual relationships across the board, the recent revision of the ethical code now allows professional counselors to interact with clients outside of a counseling session under certain conditions. RC: Counselors may now interact with a client in a nonprofessional activity as long as the interaction is potentially beneficial and is not of a romantic or sexual nature. Even if it is a potentially beneficial relationship, counselors must use caution, forethought and proceed with client consent whenever feasible. MK: Focusing on assessing beneficial versus harmful interactions allows the counselor to really partner with the client to determine whether a potential relationship will help or hurt. DK: Can you give some examples of potentially beneficial interactions that may now be allowed? MK: One example is a wedding. Let’s say a long-term client announces that he or she is getting married. The counselor is then asked to the wedding because the client feels that the counseling was instrumental in working through issues that blocked the client from considering new relationships. From the client’s perspective, the counselor’s attendance at the wedding would be very meaningful. A second example involves a counselor who lives in an extremely rural area, needs to get her car fixed and has a client who is the only mechanic in town. A discussion with the client may lead to the clear conclusion that it is appropriate for the client to service the counselor’s car. RC: Other examples include attending a graduation ceremony to honor a client’s academic accomplishment or attending a funeral to show respect to a client. It could be as simple as buying cookies from a Girl Scout or as complex as being actively involved in a shared community (e.g., a political party or a disability community) where you are working hand-in-hand with clients, students, supervisees or research participants. Counselors should not feel guilty for engaging in more than one role as long as it is potentially beneficial to the client. DK: How does bartering fit into this new concept? What if a client would like to do yard work, carpentry, home repair, etc., in return for your services? RC: Well, the standard we are talking about ( A.5.d, “Potentially Beneficial Interactions”) doesn’t in any way supersede the longstanding standard on bartering (A.10.d). DK: One of the impressive things about Standard A.5.d, “Potentially Beneficial Interactions,” is that it gives a very nice road map for how to ensure that the focus is on the client’s best interest when the issue of an interaction outside of counseling, supervision, teaching or research arises. MK: Right. The counselor needs to have a thorough discussion with the client, supervisee, student or research participant about both the potential benefits and the potential harm that could occur. It is then critical that the counselor document this discussion in case records along with the rationale for engaging in the interaction. DK: As we have pointed out in previous columns, a major theme through the new ACA Code of Ethics is consult, consult, consult! Is the issue of a potentially beneficial interaction with a client, student, supervisee or research participant an area that comes under this theme? MK: Absolutely. If the counselor has any reservations, it is very useful to consult with a supervisor or colleague, search the literature, etc. There are many ways to consult. DK: Dr. Cottone, you were the member of the Ethical Code Revision Task Force who spearheaded the change from banning dual relationships to evaluating beneficial versus harmful interactions. Why was this important to you? RC: From a personal perspective, I have a son who has muscular dystrophy. I am very active in the community here in St. Louis, and at the same time I have a practice that focuses on counseling individuals affected by muscular dystrophy. So the people I counsel are the people in the same community where I am an active volunteer. I sit side by side my clients at the MDA telethons trying to raise money to save people’s lives. I go to parties with my son where my clients are present and we socialize. I began to realize there was nothing wrong with that. In fact, if I hadn’t been involved in that kind of activity, my clients would have looked at me as if I really was not sincerely interested in helping people with their condition. I want to thank my colleagues on the task force because they were very receptive to the idea of evaluating beneficial versus harmful interactions rather than an across the board ban on dual relationships. The ideas I brought to the ethics task force were significantly different than those in the prior code, so I applaud my colleagues for letting me express my view and improving on some of the ideas I had. DK: Thanks for giving a very human touch to the new ethical code. Next month: New ethical code statements about end-of-life issues.